Pay Up! You can’t afford to live without ROI on compensation. If you want to increase profits and asset value, pay your people more. We all spend a lot of time thinking about employee retention, attracting great candidates, and providing good benefits. It’s vital to have a stable workforce that understands our culture and our systems, and that takes care of customers in the way we want them to every day. 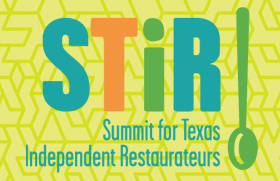 I will be talking about this subject and others on Monday, January 26 when I moderate a panel at the Texas Restaurant Association‘s Summit for Texas Independent Restaurateurs. You can register here for the one-day conference in Austin. At the same time, we have to manage budgets, compete with an aggressive array of operators, and get a fair return for the risk we take. There are many ways of accomplishing increasing retention and one of them is money. The best businesses find out what people are worth and then pay them more, or offer a benefit package that effectively does the same thing. This may appear to a more conservative CFO or company owner as a terrible idea, since those people often believe that the whole idea of the market is to define wages and prices. But the companies who practice this are able to attract, retain and benefit from having the best people in their business. Not only does that cut their training and other turnover-related costs, but also increases the most important numbers in a business, numbers like guest count, frequency, and PPA. Could you have done better last year and made more money if you had the right people in place? Compensation and benefits are two of a number of factors for you to consider to improve that output for 2015. I will be writing about more of them throughout the year in this blog.